Kirk Cameron is defending his new film "Kirk Cameron's Saving Christmas" from negative reviews by appealing to his fans this week. The "Fireproof" star's latest film opened in just 410 theaters on Nov. 14 and managed to rake in a little over $1 million in its first weekend, according to The Wrap. However, the success comes as a surprise considering the reviews garnered by the film. As a result, Cameron took to his Facebook page urging fans to change the "Saving Christmas" rating on RottenTomatos.com on Thursday. 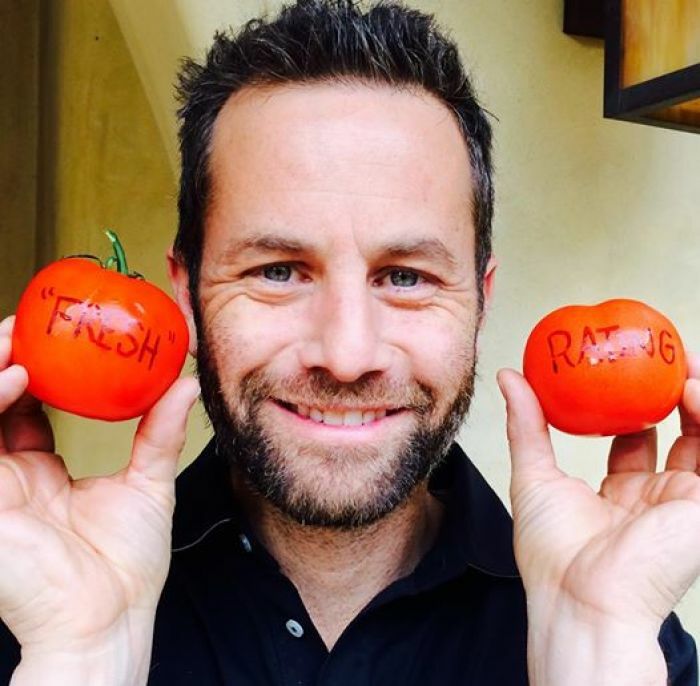 "Help me storm the gates of Rotten Tomatoes," the actor wrote in the caption of a photo of him holding two tomatoes with "Fresh" and "Rating" written on each. "All of you who love Saving Christmas – go rate it at Rotten Tomatoes right now and send the message to all the critics that WE decide what movies we want our families see," Cameron added. "If 2,000 of you (out of almost 2 million on this page) take a minute to rate Saving Christmas, it will give the film a huge boost and more will see it as a result! Thank you for all your help and support in putting the joy of Christ back in Christmas!" The film averaged a rating of 2.9 out of 10 on Rotten Tomatoes, with only 51 percent of audience members liking it. Moreover, "Saving Christmas" garnered harsh criticism from numerous publications across political and religious platforms. Meanwhile, "Saving Christmas" attempts to "put the Christ back in Christmas" with Cameron schooling audiences on new ideas about where Christmas traditions originated. Presenting never-before-heard "facts" about both the Bible and historical events, "Saving Christmas" offers explanations for iconic Christmastime accouterments including the Christmas tree, Santa Claus and the nativity. "Saving Christmas" is in theaters for just one more week until Nov. 28. To learn more, visit the website for the film here.